Located in center of the Storybook Town of Česky Krumlov, with a priceless view of this well known castle. The Castle View apartments are ideal for couples, or families with children. 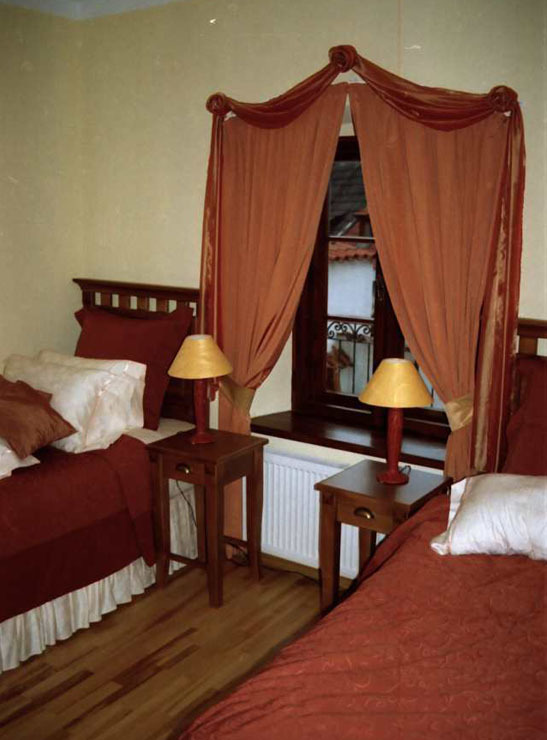 If you plan to make Česky Krumlov your base for exploring the wonders of South Bohemian, these apartments have all the amenities of time share apartments in the US,. Appointed with bedding that will make US visitors feel right at home (thick mattresses with tucked in sheets). Owned by a dentist from Florida, and managed by a local guide (Jiri is also recommended by Rick Steves). The Castle View does have a few drawbacks. It does not have a full time reception, and although parking and breakfast are included, these are not on site.